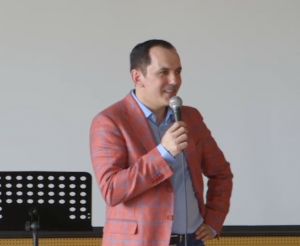 After having predicted the breakout of the Swiss Franc in 2011, Brexit and Trump in 2016, Christian Takushi recently released his latest non-consensual forecast at a Business Conference in Romania. 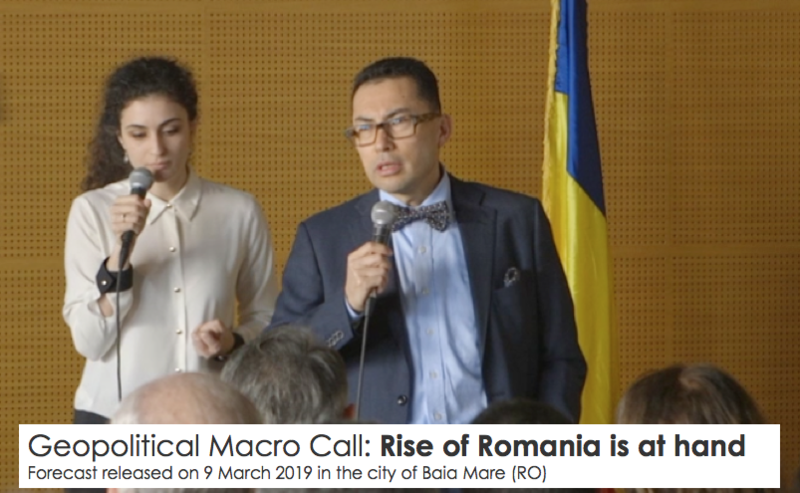 On March 9th 2019 Economist Christian Takushi released a daring Geopolitical Forecast: “Romania will rise geopolitically & economically”. 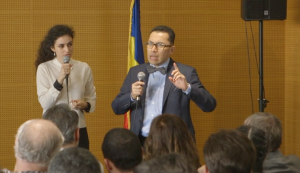 Takushi gave a speech at the new ATP Tech Center in the city of Baia Mare, Northern Romania where he explained how global geopolitical and macro trends are converging and favouring the rise of this nation. He released the conclusions of his current research at a Business Conference in Romania. 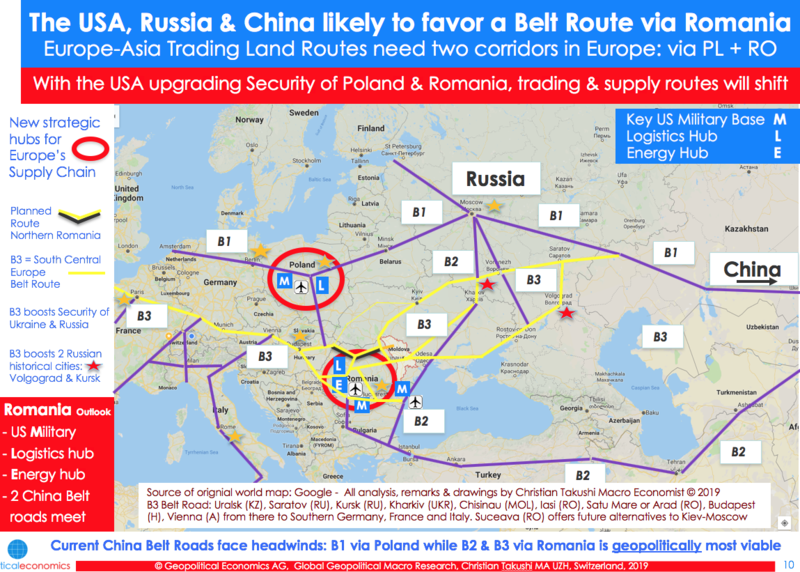 Northern Romania is likely to gain strategic significance for the USA, China, Turkey and other European nations. Important trade, energy, food and supply routes are likely to go through Romania – linking West & East Europe, Europe & Middle East, Europe & China. The routes will also channel trade through Ukraine and Russia, helping economic growth there and peace prospects. The rise of Romania is a rare win-win (or rather a win-win-win-win) case for the USA, China, EU & Russia. Thus, Bucharest is being favoured by the convergence of multiple global geopolitical & macroeconomic trends (including strategic mistakes by the EU). No security, no prosperity: Thanks to US Security, this strategically location nation could become a safe marketplace for investors and companies from the USA, China, Turkey, Germany, Brazil, Britain, Japan etc. Concrete ideas for business opportunities were discussed only during the Q&A session after a coffee break. That session was lively and included ideas ranging from rail-road-air logistics, motorways, agriculture, container hubs, energy hubs, tourism, housing, investment funds, security & military etc. Takushi’s research shows that cities like Satu Mare, Baia Mare, Arad, Iasi etc. are likely to see extraordinary development in the coming years. What could be the trigger? The construction of a Northern Motorway (see map below, separate research report to follow) will allow Romania to benefit from geopolitical and economic trends by linking Satu Mare, Baia Mare, Dej, Bistrita and Suceava, thereby connecting Hungary-Romania-Ukraine economically. Exact ideas could not be discussed in public though. 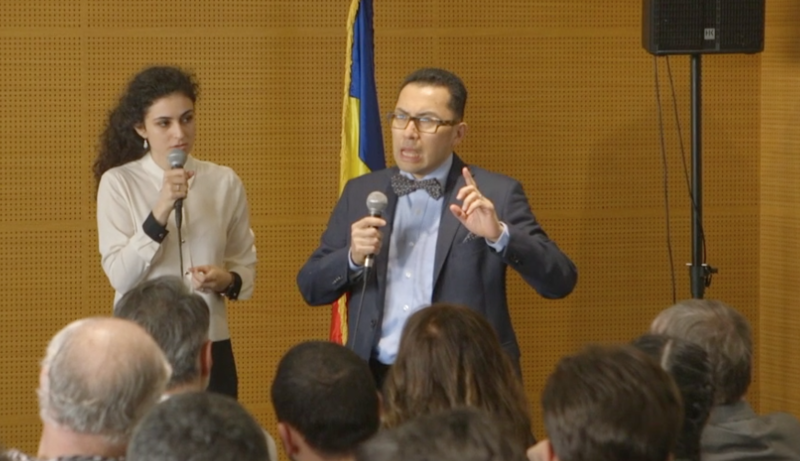 During the Q&A session Takushi also stressed that no two nations will develop identically: Romania’s rise may somehow remind us of South Korea, but it will be different. Business, community & political leaders from Maramures County, Cluj, Bistrita, Bucharest etc. attended the conference and honored us with their presence.